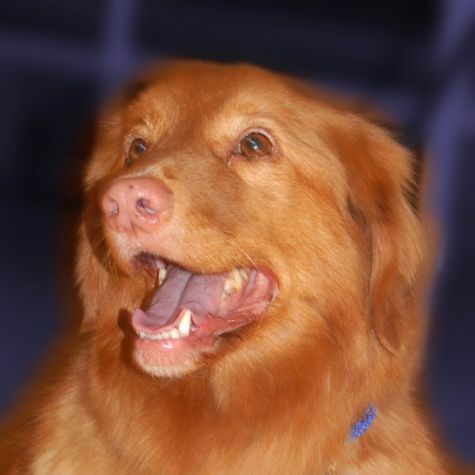 My name is Jasper, and I'm a Nova Scotia Duck Tolling Retriever, Toller for short. People always seem to notice my white paws that look like mittens and my pink nose. I love to swim, jump, fetch anything and most of all be with people. My half sister, Annie, used to be anxious and shy until I showed her how to relax and have fun. I come from a line of show dogs but my proudest moment was becoming a therapy dog. When the playing is done, I am always available for snuggling and a snooze.